I am a avid Artist in all genres. I love all art and how it is made. 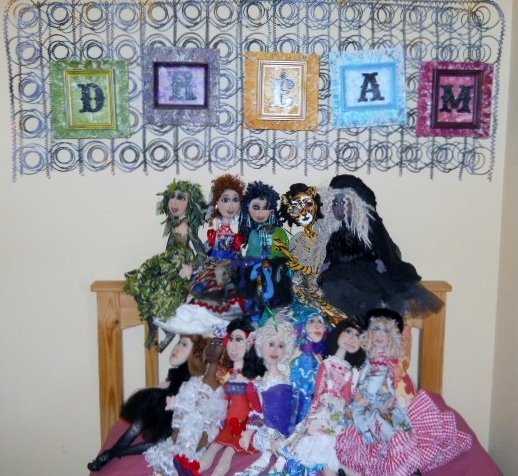 I work in Pottery, Oil, Acrylic, Fused Glass, Mixed Media, Textiles, Quilting, Found Objects, Dolls, etc. I usually enter quite a few Call for Artists each year in the Dallas area. I love our State Fair for the Creative Arts Competition. I teach kids and adults art. I just retired a year ago and am spending more time taking classes to learn everything I can. I can't wait to see what the future holds relating to Art. Enjoy.